Oheka Castle has such marvelous locations for wedding pictures. Whether you are looking for a place to take indoor bridal portraits, outside bridal party portraits, indoor family pictures, or a combination of the above, Oheka will have a location for you. One of those locations is the stairwell in their main lobby. Featured in such places as Taylor Swift’s extremely popular "Blank Space" video, the TV show Royal Pains, and movies such as Citizen Kane, Oheka’s ornate lobby is a site to behold. After being abandoned for years in the 1980’s, Oheka was eventually purchased by Gary Melius, a developer. Under the careful instruction of historians and architects, every detail was meticulously rebuilt. It took two years. Oheka Castle can be found on the National Register of Historic Places. It is also one of the Historic Hotels of America. 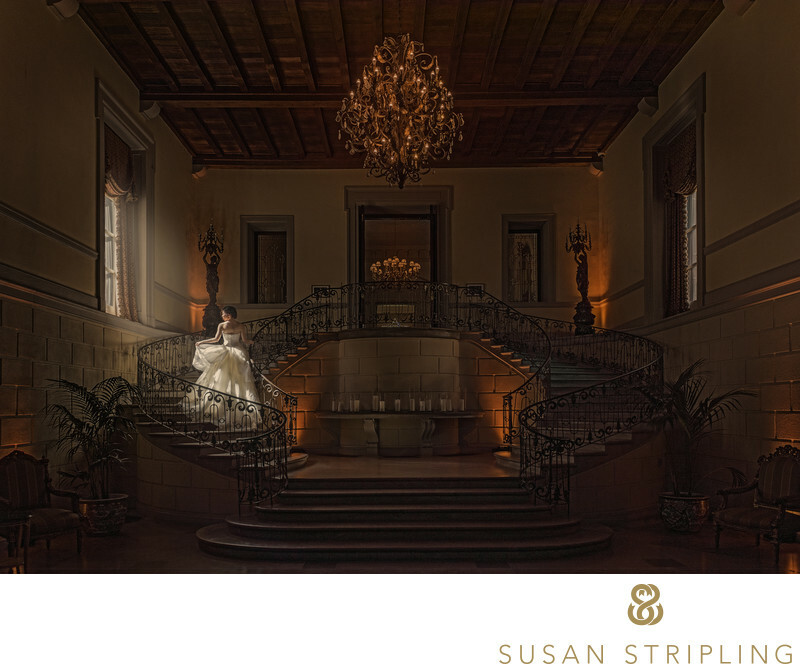 Many wedding clients love having their wedding pictures taken on the Grand Staircase at Oheka Castle. I can totally understand why! The ornate metal railings are truly beautiful. The split staircase is elegant in its’ symmetry. The light that pours into the lobby from the two tall front doors is really gorgeous. Oheka’s lobby has a quiet grace about it, and it’s a great site for wedding portraits and photographs. We often create family portraits in this location. The middle landing is a great place to pose your bridal party, bridesmaids, groomsmen, and family formal portraits. 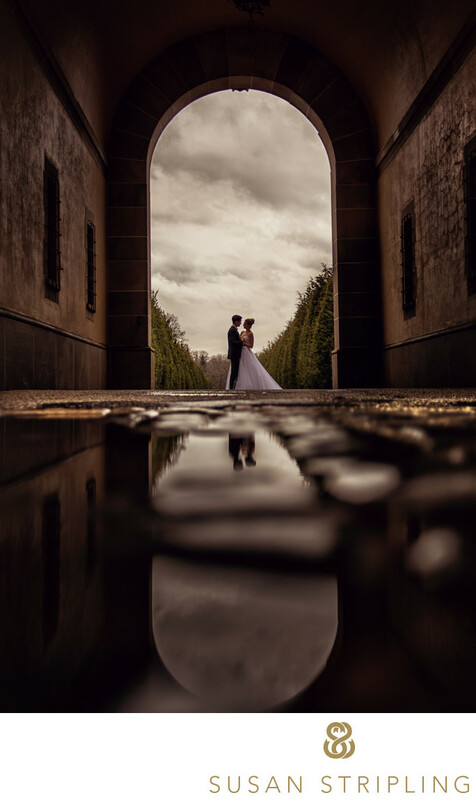 This location makes for a great, iconic Oheka look to your formal wedding day portraits. At this particular wedding, we found ourselves in the lobby at exactly the right time! The light was streaming through the window to the left of the staircase in a way that I had never seen it do before. It was such a fleeting experience, as it was gone not ten minutes later! 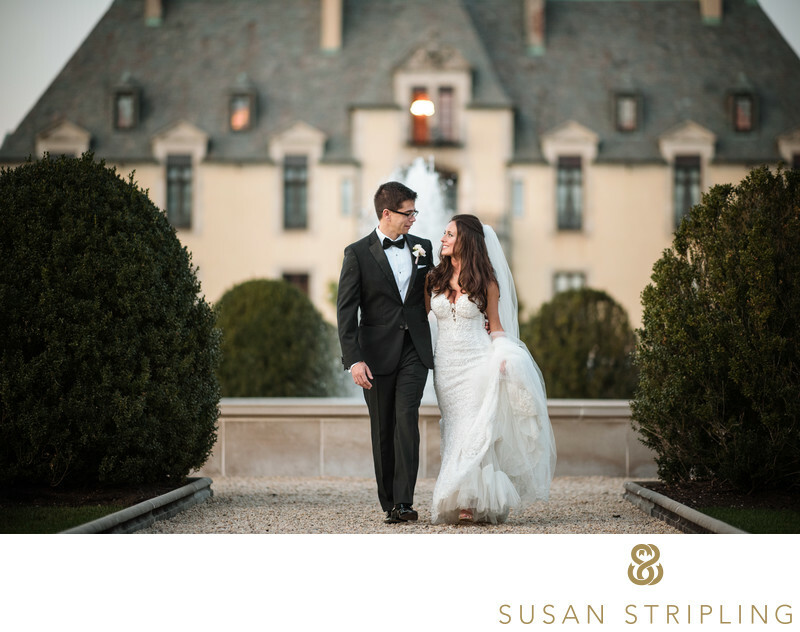 Everything that makes Oheka Castle so charming came together into one amazing bridal portrait, all at once. The sun streamed through the window. The sconces and overhead chandelier glowed perfectly, adding a deep warmth to the atmosphere of the space. The pose of the bride was natural and graceful. Her Vera Wang dress was perfectly illuminated by the light coming through the windows. It was a wonderful honor to be in that place, at that time, seeing the image come together so flawlessly. Clients often ask how I pose images like this. How does the bride know where to stand? Where to place her hands, her arms? Where to look? In this instance, I requested that the bride stand directly in the light coming through the window. That lit her face to perfection. From there, I just asked her to play with the skirt of her dress with her left hand. That gave a natural grace and movement to the pose, so that it didn’t look stiff or overly manufactured. The bride is a gorgeous woman inside and out, and I truly loved capturing this portrait for her and her family. 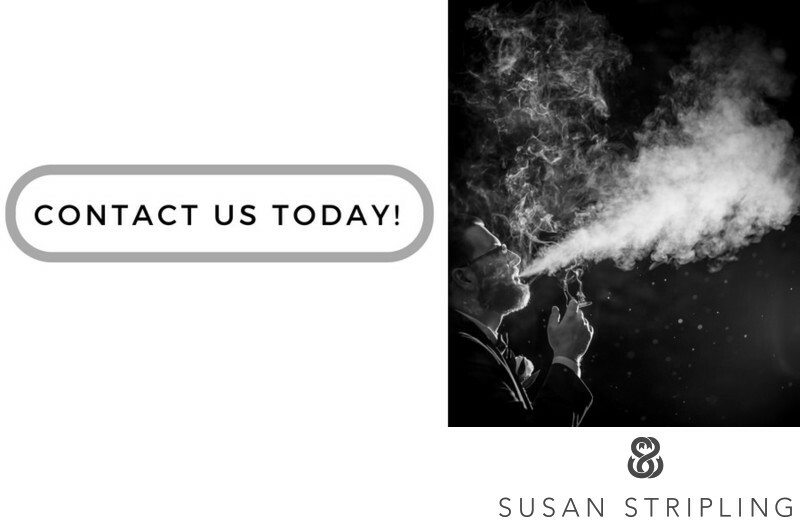 If you're getting married at Oheka, I'd love to talk to you about your wedding photography! 1/250; f/4.0; ISO 100; 24.0 mm.